Are you a prayerful leader with a passion for church growth, and excellent strategic and management skills? 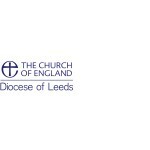 Could you join our dynamic team as Associate Rector with responsibility for day to day church life? St George’s is an evangelical charismatic Anglican church, with links to New Wine. We have a strategic city centre location, next to Leeds General Infirmary and the University of Leeds, and gather people from across Leeds and the surrounding area. Average Sunday attendance is about 400 adults (including students) and 50 children/young people, plus a further 80 adults at Lighthouse. The new Associate Rector will join a dynamic and supportive staff team of about 30, including 6 ordained clergy. An Ordained priest with the Church of England - ordained at least 3 years. St George’s has a young, dynamic, talented staff team, focused on growth. As might be expected in a large church, there is a significant management component to the Associate Rector role, with a focus on releasing and resourcing ministry and mission, and raising up leaders. The full time Associate Rector will oversee all our regular ministries, including line managing the worship pastor, student pastor (who manages our international student worker), part time pastoral care minister, volunteer Alpha course leader, and in due course the curate (who oversees the children’s worker and youth worker). Small groups/networks and leadership development is overseen by the part time Associate Rector. Our vision as the Diocese is for confident clergy equipping confident Christians to live and tell the good news of Jesus Christ. For all our appointments we are seeking clergy who have a joyful and confident faith which has inspired a track record of church growth. the residential “Leading Your Church into Growth” course (LYCiG).